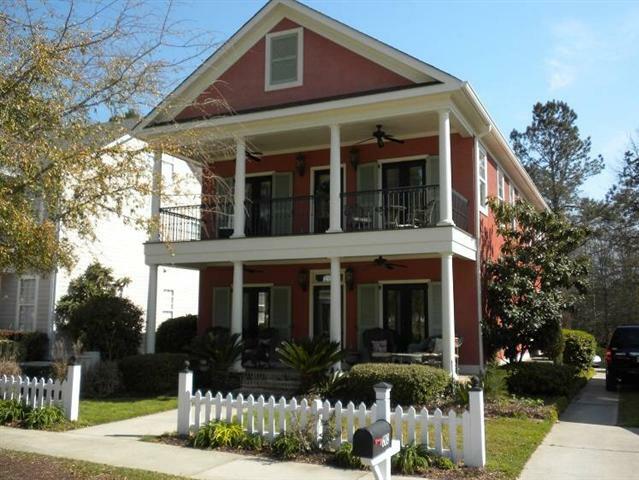 Beautiful 4BR/3.5BA Charleston-style home in Riverwood Plantation with your white picket fence. Gracious living with lower and upper porches that overlook the neighborhood park, spacious open floor plan, lower and upper living room areas, owner's bedroom with doors that lead to upper porch, and a shaded back yard with a patio great for entertaining. Pets under 25lbs with owner approval. This home is available to move-in 6/15/2015. Contact Staci @ 706-619-0443 or Bridges Realty @ 706-922-6390 to schedule a showing or visit our website @ www.MyAugustaDreamHome.com to view all our listings.